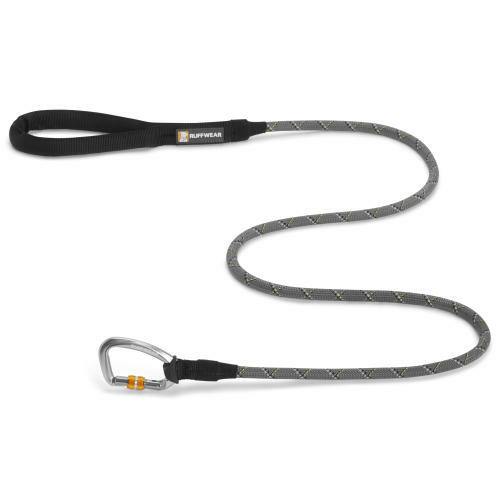 The Ruffwear Knot-a-Leash is a rugged climbing inspired dog lead. The classic design uses strong, supple Kernmantle rope and a reflective secure locking Carabiner. Made for comfort, easy to hold with tubular webbing handle, convenient accessory loop for pickup bags or small clip-on items and added enhanced visibility with integrated reflective trim. Available in two colours Black and Red rope/carabiner. Try our matching Knot-a-Collar for the complete set up! Danish Design 2 in 1 Black Dog Rain Coat 55cm / 22"